The written exam of Constable GD will be held only Offline mode. (Online Exam Mode Has been Canceled by SSC Due to Administrative Reasons). But, the most necessary thing is that all eligible candidates are required to download their Call Letters to appear in exam. 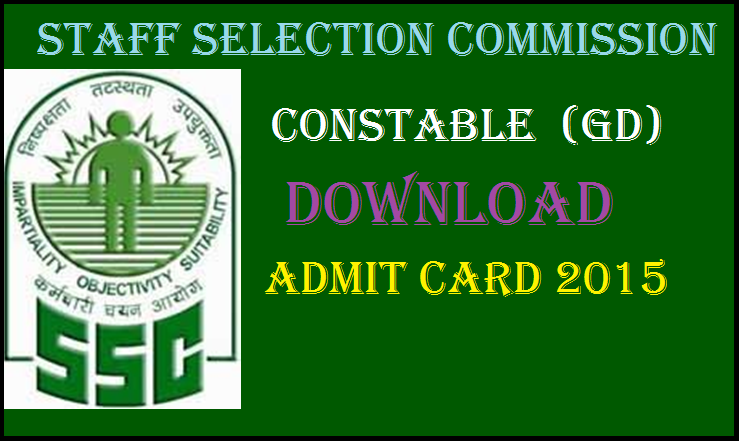 Admit Card is now available in the month of September 2018 (From 14.09.2018), direct link to download Constable GD Written Test Admit Card for all zones is now available in given table.